According to the Club 400 Cubs website, only 250 tickets were available and the event has been sold out. Proceeds from the event are to benefit Die Hard Cub Fan David Adams. 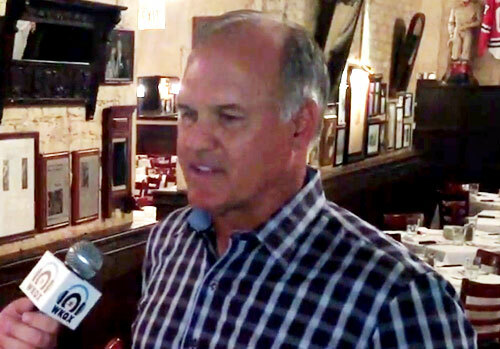 Ryne Sandberg is a former MLB second baseman and manager who played for the Philadelphia Phillies in 1981 and the Chicago Cubs from 1982–1994 and from 1996–1997. After his playing career Sandberg was manager for the Philadelphia Phillies from 2013–2015. Sandberg is a ten-time All-Star for 1984–1993 plus National League MVP for 1984. Sandberg is the National League home runs leader for 1990, a nine-time Gold Glove Award winner for 1983–1991 plus seven-time Silver Slugger Award winner for 1984, 1985 and 1988–1992. In 2005 Ryne Sandberg was inducted into the Baseball Hall of Fame and The Chicago Cubs retired his number 23. Sports Speakers 360 is a booking agent for pro athletes. If you would like to book Ryne Sandberg for a speaking engagement, appearance or endorsement, contact a Ryne Sandberg booking agent for fees at 1.855.303.5450.